Let me begin by saying that I am the mom to two precious girls. After my second was born, I pumped exclusively. I knew that I would be traveling and pumping for my business and I had successfully pumped for my first daughter. My milk supply was awesome; I was producing nearly double what she needed in a 24-hour period. The first trip I did fine. I pumped. I dumped. It was all good. As it turns out, during the first trip we had used up more of our stash than I realized and I barely had time to build it back up before I had to leave again. I had a busy travel season ahead of me and I knew that this simply wasn’t sustainable. I was working so hard to pump while I was away and then I was pouring all that precious milk down the drain. So much work for nothing. My baby wasn’t even getting that milk. I had originally decided to pump and dump so that I wouldn’t have to mess around with transporting breast milk through the airport. I was nervous about how to keep the milk properly temperature controlled for several days. There was one thing I hadn’t expected when I made the decision to pump while traveling: where there airport nursing rooms? On my second business trip, I was running through the airport to make my connecting flight but I needed to pump before boarding. And in that entire airport, an airport which thousands of women use every week, there was not one place I could go to pump in private. And so there I was, about to miss my flight, needing to pump so I could dump the milk down the drain, and I had nowhere to go. So what did I do? I cried. I cried because I was so completely overwhelmed. Because I was working so hard to pump only to have to waste it all. Because my baby couldn’t even benefit from the time I was taking to pump. I cried because I had booked too much travel as a way to deal with my postpartum PTSD and here I was in an airport, far away from home and totally stressed out. I missed my baby and I couldn’t even get my milk to her. I was angry over the fact that in a major airport, there wasn’t a single space set aside for a mom to sit for a few minutes to nurse or to pump for her baby. Angry that society doesn’t see the need for accommodations for moms who are the sole source of nutrition for their babies. And angry that all my milk was going to waste. So yes, there I was. A working mom on a business trip. Having a meltdown in an airport. I knew there had to be a better way and I was determined to find it. Not only did I face the issue of not having a private place to pump but I wanted my baby to be able to have fresh milk, not just milk I had been stashing in the freezer. But how do you get fresh milk to your baby if you are on a 3-5 day business trip? How do women successfully breastfeed their babies while also building their business or excelling in their career? How could I stop the pump and dump cycle I was in that was causing me so much distress? Traveling and Pumping Tip #1 – Ship Your Breast Milk Home! Please note: Milk Stork provided me with a coupon code to try out their services in exchange for an honest review. My number one priority is to make sure I am giving you tips that actually help you on your breastfeeding journey as a working mom. The following opinion about Milk Stork is 100% my own. You decide when to wean your baby. No more weaning just because your travel schedule is hectic or because it’s too difficult to travel and breastfeed. You don’t have to try to build up a ridiculous amount of milk to stash before your trip. Your baby can have fresh milk even while you are away. No more spoiled milk by trying to pack it yourself. If you’ve ever dealt with freezer gel packs and leaking bags of milk, you know how depressing it is to have to throw away bad milk. You won’t need to pump and dump. Say goodbye to the awful cycle of working so hard to pump and then watching it go down the drain. One of the biggest questions I faced was: How can I keep my breastmilk cold while traveling? Milk Stork provides you with a cooler pack and freezer bags so that you can pump and then take the milk back home with you. Either way, you choose, to take it home yourself or to have it shipped home overnight, you can rest assured that you won’t be watching any more of that precious breastmilk go down the drain. There are different packages available depending on how much milk you produce, the length of your trip, and your baby’s needs back at home. You can even combine your order, shipping milk home the first few days of your trip and then taking the last day’s worth home with you in one of their cooler packs. On one trip, I shipped half of my fresh supply back to my mother-in-law and half back to my house. It was amazing! My baby was eating fresh milk from me while I was 3,000 miles away. The milk always returned fresh. I had no issues with any of my breast milk spoiling. To get an idea of how the service works. I created a video to show you what it looks like when the box arrives to your hotel and the process for packing it back up to ship overnight via FedEx. While Milk Stork does solve the problem of getting your fresh milk home for your baby, it doesn’t solve the problem of the lack of support for breastfeeding mothers, and especially breastfeeding mothers who travel for business. 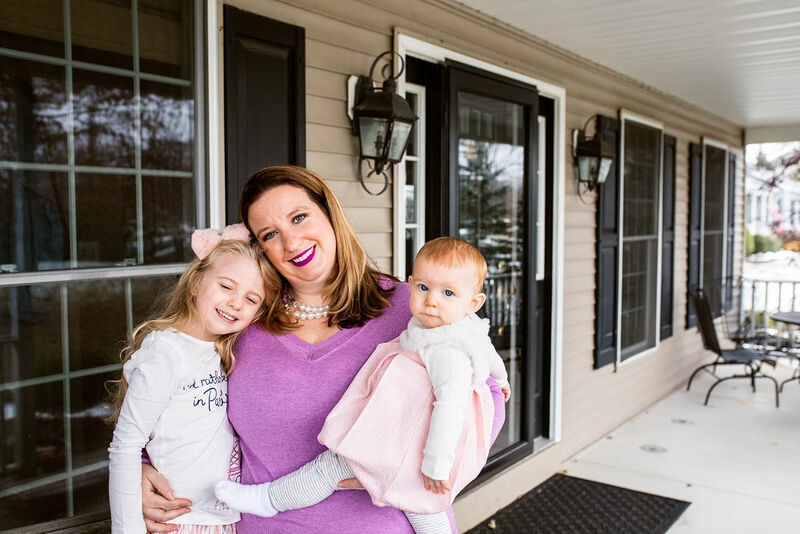 We still have a long way to go with maternity laws in the United States for mothers to be able to succeed in their careers while providing nourishment for their babies at the same time. The best traveling breast pump. Medela Pump in Style or Medela Freestyle are the pumps that I prefer. I use the Pump in Style while in the hotel and the Freestyle while on the plane or at conferences. Freezer bags. The Lansinoh bags are the best ones I have found. Absolutely no leaking, strong and sturdy bags. Cleaning wipes. Cleaning pump parts while traveling can certainly be challenging. You certainly won’t always have access to a soap and hot water situation when pumping while traveling. These Medela cleaning wipes are great to hold you over until you get to your hotel. Extra supplies. You’ll want extra tubing, flanges, bottles, caps, etc. 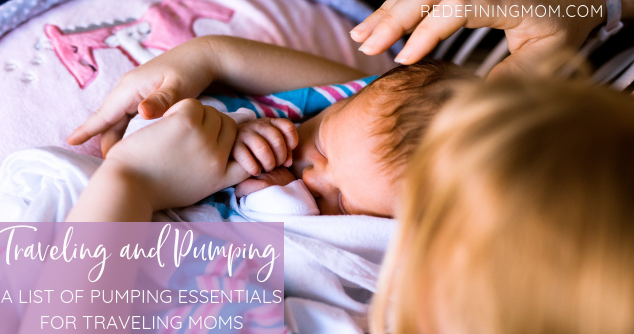 Anything you use for pumping, pack more than one. And it goes without saying to pack this stuff in a carry-on and not in your luggage. You want it to end up where you end up. Bottle brush, dish soap, zip lock bags, and paper towels. You need to be able to wash everything when you arrive at your hotel. Bonus: I adore using Dr. Brown’s bottles both for pumping and feeding my little one. I found them when my first had colic and I’ve never looked back! If you’ve decided to pump while you are away from home on business or for whatever reason, you need to prepare ahead of time in order to be successful. Don’t leave anything to chance or you might find yourself on the floor of an airport crying like me. Here is my list of things I need to do in order to avoid the pump and dump cycle. The first thing you want to do is make a list. Write down everything you will need to pump while you’re gone. Check that list twice and then check it again. Read it out loud to yourself and to someone who can help you check it. Find out ahead of time if the airport[s] you are using has a dedicated nursing area. If not, consider using another airport that does. Don’t schedule your flights too tightly. You need to leave enough time to disembark, pump, and still make your connection. Nursing requires relaxing enough to let your milk flow. Being stressed that you are going to miss your flight is not the best way to successfully nurse in an airport. Know those darn TSA policies on breastfeeding, breast pumps, and breastmilk. Consider calling the airport to have notes added to your account or for clarification on the airline’s policies for breastfeeding mothers. Call your hotel ahead of time and make sure they have a refrigerator in your room. Once you have safely arrived at your hotel, be sure to refrigerate any milk that is not already refrigerated. Wash the bottles and breast pump parts you used while traveling that day. If you set up an account with Milk Stork, you may find that they have already left the cooler box at your hotel for you. In the video above, I show you how the package comes to you and exactly how to pack the milk and get it ready to ship back home. It’s super easy to work with and my box was waiting at my hotel when I arrived. You do need to check with your hotel and make sure that they have FedEx delivery since Milk Stork works with FedEx. The one thing you need to make sure of is that FedEx will also pick up your box to ship it home. Sometimes this will not be the case and you will need to get that box to FedEx yourself. Just know ahead of time if you need to transport the box to FedEx and plan to get an Uber to get that done. If you want to breastfeed your baby but you still need to travel for work or for your business, I want you to know that it is doable. It is certainly not a perfect system and we need to make a lot of changes as a society that make it easier for women to provide for their families while also providing for their babies. You may find yourself in situations like I have where there is no private place to pump. If you do, slap that nursing cover over your head and sit right down and pump. Don’t let the attitudes or stares of others hinder what you are doing for your baby. Believe me, I had businessmen in first class look at me sideways when I pulled out my breast pump and began pumping right there in my seat. But you know what? I didn’t care. My baby needed my milk and the only way to get it to her while I was traveling was to pump. Unfortunately, it isn’t easy for us to provide fresh milk for our babies back home while we are away but I am relieved to know that there are companies out there that understand our needs and are finding ways to accommodate moms who have to travel but still want to provide for their little ones. 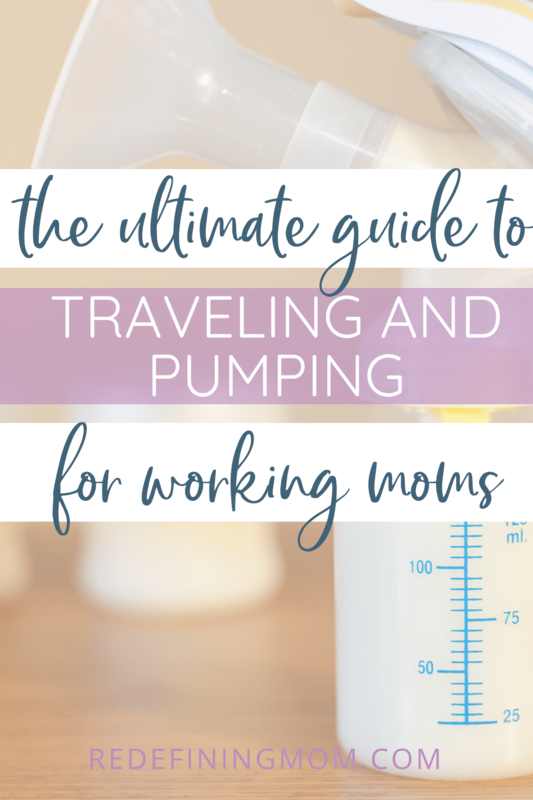 Are you a traveling mom who pumps? I want to hear from you about your experiences and how you have handled pumping while traveling. Comment below and let me know how you have made it work and any tips or tricks you have that make it more doable.